What’s the Minimum You Need to Make in Texas to Afford a 2-Bedroom Apartment? Pew Research Center says 30 percent of the workforce in America earns near minimum wage. Ironically, the Wall Street Journal says rents keep rising! The National Low Income Housing Coalition has put out a map of all 50 states and how much a person needs to afford a two-bedroom apartment. So, where does Texas fall? According to the report, we're in 24th place -- basically right in the middle. A person in Texas needs to make $16.62 and hour to be able to afford a two-bedroom apartment. Granted, there will be a difference between Lubbock and, say, Dallas but, you get the idea. 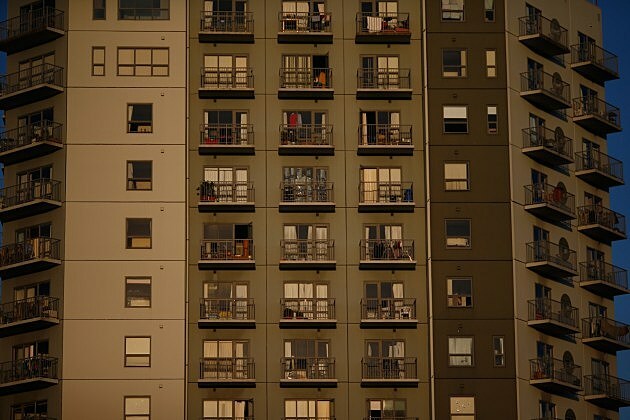 On average, the report says U.S. renters need to earn $19.35 for a two-bedroom apartment. An average worker earns $15.16 an hour. NEXT: How Fat Are Texans Compared to Other State Residents? OK, so how about a one-bedroom apartment? If you're making the federal minimum wage of $7.25 an hour, you'd need to work 94.5 hours a week for a one-bedroom at the Fair Market Rent, and 120 hours for a two-bedroom place. Take it for what it's worth. Both sides of the political aisle will have different opinions on how it should be dealt with for sure.